As a blonde haired gal, brassiness is something I'm all too familiar with. I'm sure you fellow blondies have been there before too - you go to the hairdresses and they give you beautiful blonde highlights with no orange or yellow tones in sight. However, a few weeks after your appointment, those pesky shades start to re-appear and you want to dash to the salon for a toner quick sharp. Well, fear not ladies, Redken have got us covered. Let me introduce you to their new range of products that have been created with us blondes in mind, Blonde Idol. The range includes five products, all of which are designed to keep the brassiness at bay! I was lucky enough to be sent two of the products from Rush Hair and Beauty and I've been using them for a couple of weeks now so I'm ready to report back! 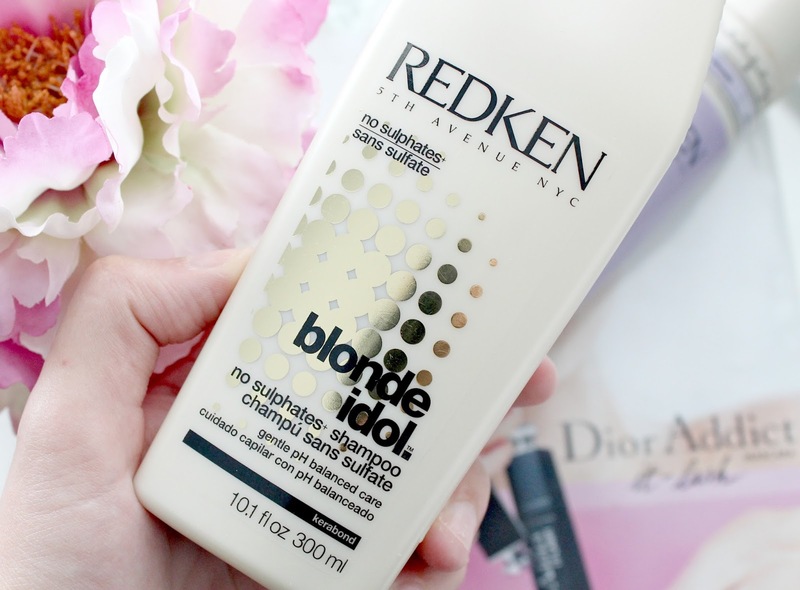 First up is the Redken Blonde Idol Sulfate-Free Shampoo which has ingredients such as kerabond, violet leaf extract and lactic acid that claim to 'preserve tone and keep your blonde brilliant between salon visits'. This has been my go-to shampoo for the past few weeks now and while I can't say I've noticed a huge difference in the tone of my hair, I do really like it. As with all Redken products, it has a gorgeous scent and lathers up nicely. I also find my hair is super soft and shiny after I've used it! I also like that its gentle on the hair as it has a pH balanced and sulfate-free formula - great for those of you who are wanting to grow hair and not add any nasty chemicals to it. As I said, I can't see that its visably lightened my hair or made my blonde less brassy but it is a great shampoo regardless and one I've enjoyed using. 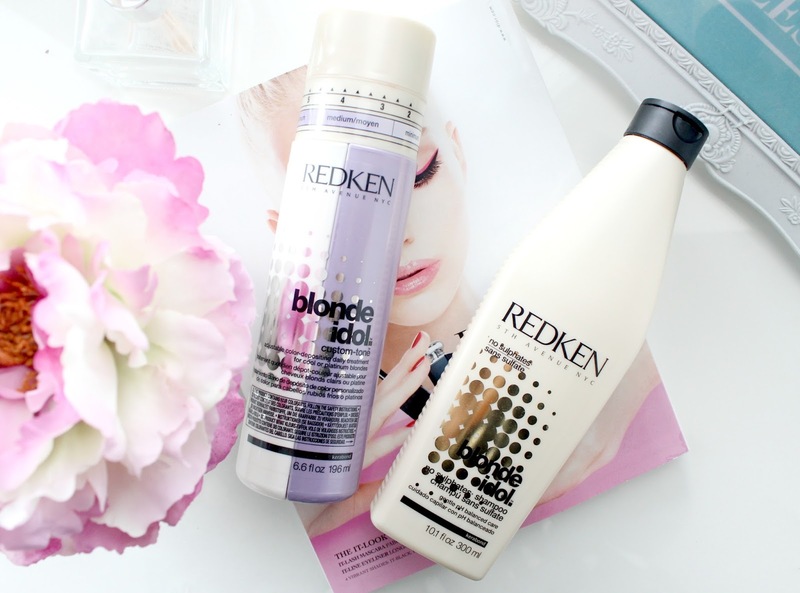 The Redken Blonde Idol Custom-Tone Conditioner is the second product I've been testing out and I was really excited about this because of its innovate concept and design. Unlike the shampoo, this product is more like your traditional 'purple shampoo' that tones the hair and neutralises any brasiness. What I love about it so much is that it has a custom dial on the top which can be altered from one to six and minimum to maximum depending on the level of toning you need. I've been using it on the highest setting but I think I may have to pop it down a touch now as I was left with purple streaks last time I used it! Not ideal but at least I know its working. There's two variations of this conditioner available in the range - one suited for cool blondes and one for warm blondes. I decided the Cool Blondes option would be best suited for me as I have quite a lot of ash tones in my hair. However, if you're more a caramel/golden blonde, you'd be best going for the warm option. As well as the custom-tone dial, another thing that's quite unique about this product is that its a conditioner. Most toning products I've used in the past have been shampoos so it feels quite strange to slather loads of purple conditioner all over my hair. It also doesn't feel particularly nourishing like a typical conditioner would but it definitely makes my hair soft and shiny after use. Overall I really like these two products from Redken and they've become a staple part of my hair care routine over the past few weeks. If you're a blonde haired gal, I'd recommend giving them a try! Do you like using purple shampoos/conditioners to tone your hair? You can buy these products from Shop Rush. 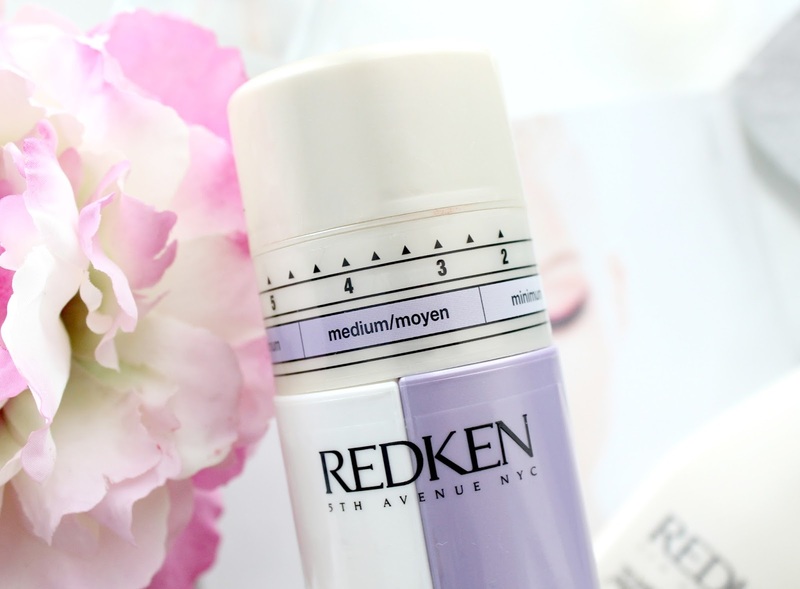 I've been using Redken since dying my hair blonde two years ago and I absolutely love their products. Can't wait to try this! It's very true that most toning products are shampoos! I love the look of that conditioner, I like that you can adapt it to how you like your hair to look. I'm currently using the Fudge purple shampoo but you have to be careful, I've ended up with a purple rinse more than once! I'm actually off to the hairdressers for a much-needed t-bar so I'll be considering these next time I run out of shampoo&conditioner! I keep meaning to give this a try! Ive stopped dying my hair now for a year and although it's strawberry blodne I find purple shampoos have definitely helped to keep my hair lifted. I love purple shampoo, and these both sound really good! I'll try anything when my hair goes a nice shade of yellow. I do think I'll love the gimmick factor of the dial with this too.